It is always a pleasant choice to stay in Red Planet Hotels if you’re looking for a place to stay that is affordable but still not sacrificing comfort. This value hotel group has several hotels in the country offering accommodations that are easy on the budget. They offer rooms that are pleasantly nice provided with basic amenities. It was during our food event in Makati several months ago when I tried to stay on this hotel for the first time. And I must say, we had a great stay. It wasn’t hard for me to like this value hotel because they also provided us great hospitality. Its friendly services and accommodation made me opted to stay in Red Planet Hotels again. It was in Cebu when I stayed in Red Planet Hotels again. It was last February when I went back to Cebu with my friend. Red Planet Cebu was our base while we were in the city. It is an ideal place to stay while in Cebu because it is strategically located within the city center. It is situated in a commercial and business district making it really a great base for our weekend stay in Cebu. Red Planet Cebu is right across the famous Ayala Center Cebu. It is also nearby tourist landmarks. The hotel is also close to several shopping malls, restaurants and bars. It was already late when my friend and I checked in to the hotel. We still came from an almost 5 hour travel from Dumaguete. And when we arrived in our hotel, there’s only one thing we would like to do, to lay down to our beds. Oh it was actually two things, we also want to eat! We were so tired and hungry and we were so grateful that the hotel is just nearby the mall. We had our dinner in one of the fast food restaurants. And since it was already late, we just went back to our hotel after our dinner and took our much-needed rest because we still had to get up early for our one-day adventure in Cebu. 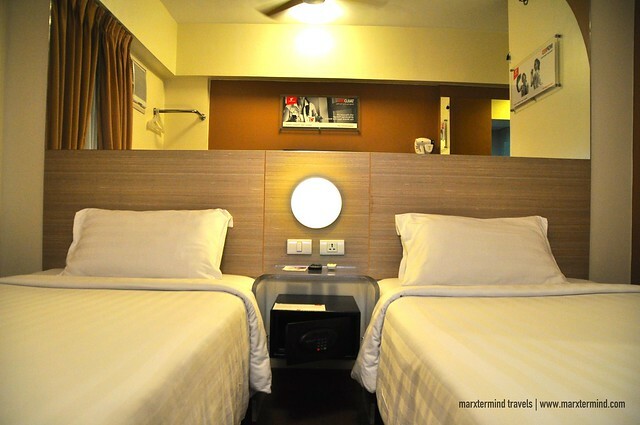 Red Planet Cebu currently has 150 rooms categorized into two: Double Room and Twin Room. Check discounted room rates and availability here. All rooms by Red Planet Hotels are set up the same. They are all pretty standard. Our room was a Twin Room. It has twin beds. Our room has both air conditioning and a fan. It has a private toilet and bath. Toiletries and towels are also provided. Our room is also equipped with a flat screen cable TV, an in-room safe vault and a hair dryer. It also has a workstation. The room was quite small but it was well adjusted with pleasant room features. The bed was comfortable. The bathroom was clean. The room was neat and comfy in general. I liked our room. It has all the basics that we needed to have a comfortable stay. 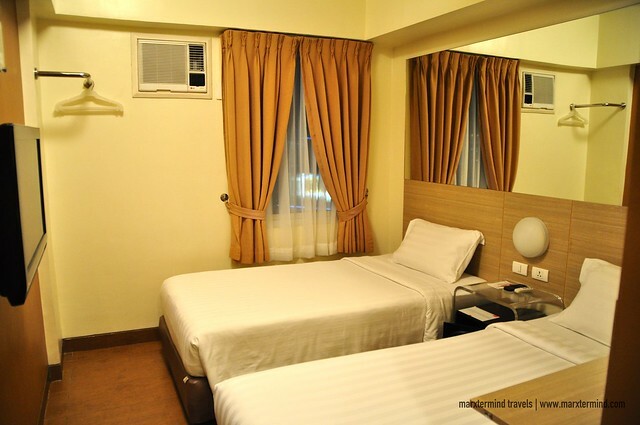 Aside from the comfortable accommodation that Red Planet Cebu offers, the hotel also provides some useful facilities. The hotel has a common lounge area. They also have business center and computers that guests can use for free. 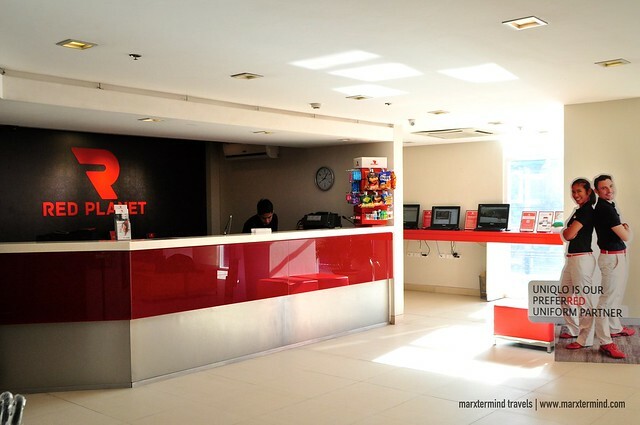 But one amenity that I liked about Red Planet Cebu the most was their reliable Wi-Fi. The hotel offers free access to Wi-Fi connection. Red Planet Hotels once again provided me a great level of comfort and convenience. Indeed, its comfortable accommodations, friendly services and pleasant facilities make me always prefer this hotel to other value hotels. For direct bookings, you may visit Red Planet Hotels website. Register at RemembeRED Programme and you’ll get 10% off on all bookings. 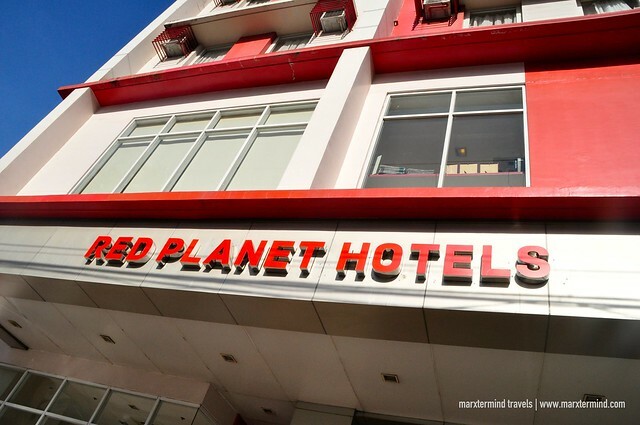 Disclosure: Red Planet Cebu hosted our stay for the purpose of reviewing the hotel. All notes and opinions are my own. Next story Kawasan Canyoneering is the Best Adventure in Cebu!